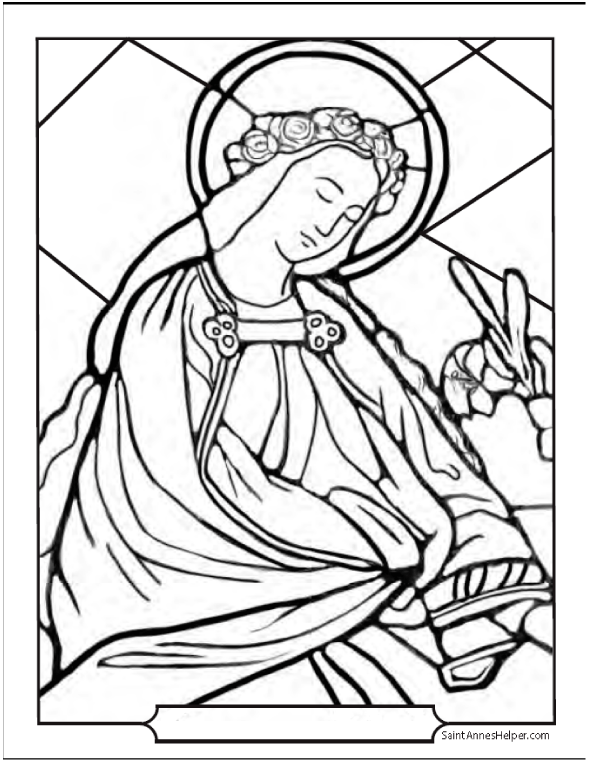 Print this saint coloring sheet to color your patroness or to celebrate a female saint feast day. Her halo is a symbol of her sanctity, her crown of roses shows her victory, and her staff of lilies symbolize her purity. This PDF prints 8.5x11" single sided. The crown of roses and the staff of lilies are symbols of many saints.